Hello. Turkey is the country which gave the start for my travelling. 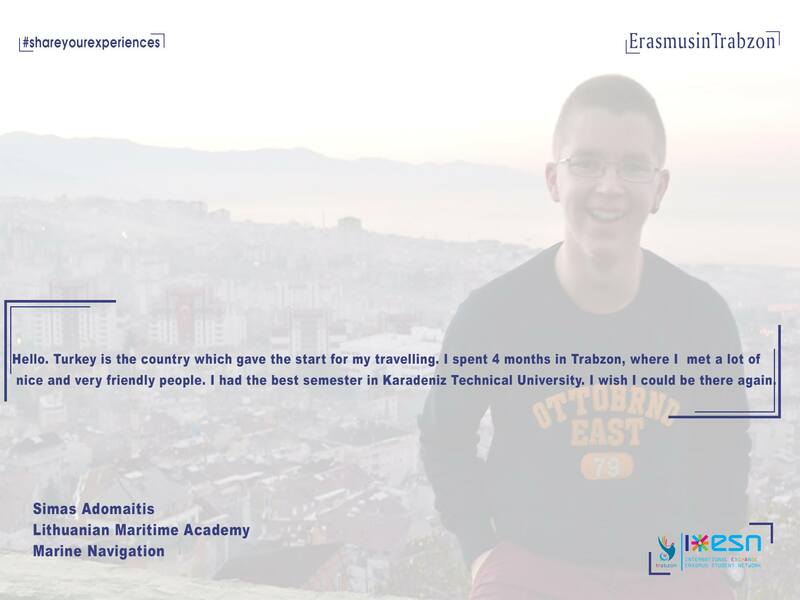 I spent 4 months in Trabzon, where I met a lot of nice and very friendly people. I had the best semester in Karadeniz Technical University. I wish I could be there again.